There's a common myth that if you want to get something for free, to have to jump through every hoop to get it and it's usually not worth it. That's simply not true. It is possible to get free samples in the mail without filling out surveys. I get freebies every day in my mail box and I never answer a survey to get them. Look below to find out how to avoid the surveys, get out of answering them, and why filling out a survey to get a free sample may be a downright bad idea. To see the latest free samples and freebies, you'll want to check out this free samples by mail list that's updated daily with the newest and 100% legitimate free samples. These are legitimate free samples and there are not any lengthy surveys to take to get them. They only take a few minutes to submit your mailing information. When you go to request a free sample you at minimum have to tell the company your name and your address so they can mail you the free samples. They also will usually ask for your email address. I'm not going to lie to you, this is probably to add you to their mailing list. If you're considered about this, sign up for a separate free email address to use just for your free samples. There may also be an option at the bottom of the request form to opt out of any newsletters they would like to add you to. Some companies might want you to answer a few survey questions to get your freebie. However, a lot of these aren't required and you can submit the form without answering them. Keep your eye out for an asterisk or another indicator that specifies the required and optional parts of the freebie form. They will still send out your free sample as long as you fill out whatever is required. Filling out or not filling out these optional form fields won't have any impact or getting or not getting the free sample. You do however want to answer the questions that are required and you feel comfortable in answering, this is one of the top ways to make sure that the free samples you request actually arrive. 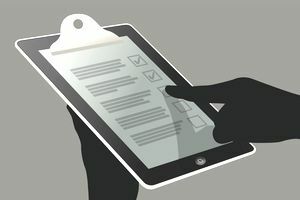 If you run across a free sample or freebie that requires you to answer pages upon pages of survey questions or sign up for trial offers, run far, far away as quickly as you can. These are signs of a freebie scam and you'll want to avoid them. Either the person is running a website so they can make affiliate money when you sign up for programs or they are trying to steal your information. An exception to the rule are free magazine subscriptions. These have long surveys attached to them but you can easily skip complete sections of them by saying "no thanks" which is usually in tiny letters somewhere on the page. Remember to never, ever provide your credit card information to get a freebie. A legitimate freebie is not worth getting unauthorized charges to your credit card or your identity stolen. There are the occasional legitimate free samples that will ask you a few survey questions. They do this to either see if you qualify for a free sample or so they can get more information about who wants to try their product. If you feel uncomfortable answering these questions, then move on. It's not worth giving up your privacy to get something for free. There will be plenty of other free samples and freebies to request.